Ultimate Marvel vs Capcom 3‘s announcement came as no surprise from CAPCOM, seeing as how they came out with multiple versions for the Street Fighter IV series. The original Marvel vs Capcom 3: Fate of Two Worlds debuted back on February 15th, 2011, we now have the Ultimate version of the game on November 15th of the same year, making exactly 9 months between them. Adding in new modes, 8 new stages, 12 new characters, and an online spectator mode, and various balances; it plans to “Take You For a Ride” in all the ways Marvel vs Capcom 3 was suppose to, the only question now is, does it? 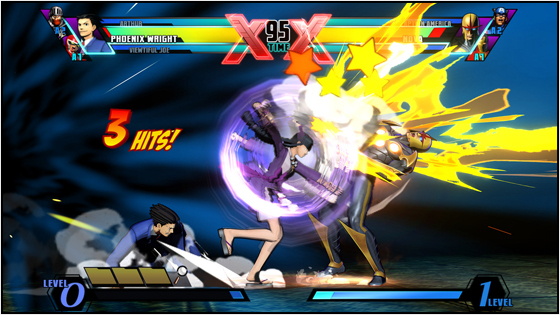 Before getting Ultimate Marvel vs Capcom 3, I was skeptical of it like a lot of people were. They should hae taken more time on regular Marvel vs Capcom 3: Fate of Two Worlds; it was about an 11 year difference in the release of both games, so why could they have not been thinking about things for the game within that long span of waiting time? No one but CAPCOM knows. Seeing as there was a Street Fighter IV, Super Street Fighter IV, and Super Street Fighter IV: Arcade Edition, I was very nervous that this iteration would only last but for so long, especially with it only being 9 months between the release of the initial game and Ultimate (Meaning that either it does not take that long to make characters or this game was still in production even after the release of the original). Now with the game finally in my hand, I have mixed feelings about the game; especially when I really liked Marvel vs Capcom 3 once I had ironed out all the rough spots, and I loved the way Dante and Dormammu played and I am hoping they are not changed too drastically (The way that Ragna the Bloodedge was changed from BlazBlue: Calamity Trigger in BlazBlue: Continuum Shift). Well, going to Gamestop, grabbing the game and then heading home, it was time to put this game to the test. Also, be sure to check out my “Bidding Adieu! 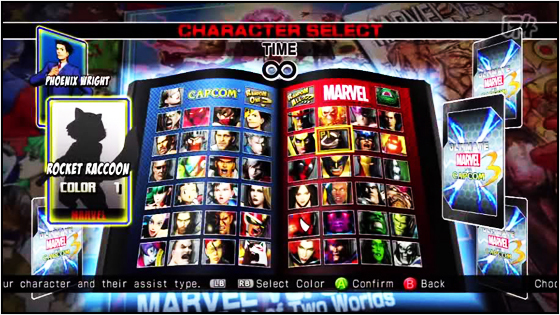 Marvel vs Capcom 3: Fate of Two Worlds” to see my thoughts about the previous game HERE. As I got home, I was eager to try out exactly what changed, so I remove the plastic of the game and take a look at what I have here. Inside is the manual for the game and the disc (You can also see that the disc art is also printed on the back of the original Ultimate Marvel vs Capcom 3 Box Art to be used if you prefer it instead, pretty cool for it to be reversable) which I hoped would be the same as the cover but you cannot get everything you want. The manual gives you a pretty good look at the game, explaining all the game modes, telling you every single character in the game as well as an explanation of X-Factor and various other techniques in the game such as Special and Hyper combos. Sliding the game into my Xbox and I allow it to load, it saying the same entrance of “CAPCOM PRESENTS! MARVEL COMICS!” showing the respective logo for each company as it begins and starts off in a new intro movie which is actually quite dynamic. It is various still images that are very well made with dynamic lightning and slow movement that depics MARVEL characters against CAPCOM characters, such as: Dante vs Ghost Rider, Strider Hiryu vs Spider-man, Morrigan vs Dr. Strange, and even a comical one of Dead Pool riding on Phoenix Wright’s “OBJECTION!” statement. Even though it was a list of images and not full action CG like those of the original Marvel vs Capcom 3, it actually was a lot better and all of my friends agreed, including myself. Something else I immediately notice was the new menu, which changes depending on what you go to (Offline Mode, Xbox LIVE, Gallery, and Options) and the backgrounds are a big improvement over that of Vanilla Marvel vs Capcom 3, featuring Strider vs Wolverine (Weird since he was against Spider-man in the opening cinematic), Chun-Li vs Iron Fist, Frank West taking a picture of Spider-man, and a team up of Rocket Raccoon and Chris Redfield. Well, it is time to actually dive into the game and see what has changed about it and if I actually like it or not. 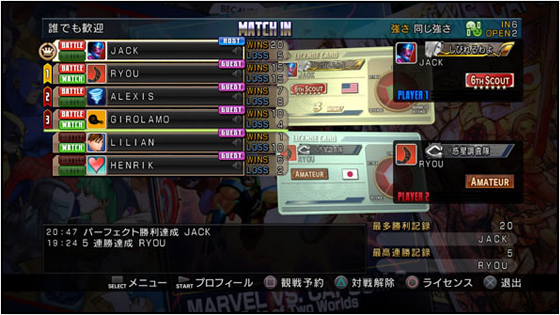 Nothing too much has changed in Ultimate Marvel vs Capcom 3 and vanilla Marvel vs Capcom 3 as far as Mission and the Arcade Modes are concerned, however, some things I feel are at least worth mentioning about Mission Mode. As far as Mission Modes go, there are more of them since there are more characters; what I would really like to note about these mission is the practicality of the combos you learn in mission mode, especially for those of previous cast of characters. Back in the first game, very rarely did I find a combo that I used in the actual game (Think about Dr. Doom’s mission #9 in the previous game that utilized the Super Skrull assist), and were just based around difficulty for that trial rather than combat effectiveness. While this did seem to occur in a few of the trials I came up across (Such as Strider Hiryu’s mission #10), some seemed really akin to what competitive people use in high caliber gaming tournaments (Such as Magneto’s mission #10 which features the new “ROM” combo that was discovered and Sentinel’s mission #10 which featured a nifty relaunch combo). Something else I really liked is the fact that the achievements for Mission Mode is a lot higher, meaning that people who play the game and are specifically gunning for achievements will have a much harder time and will actually need to learn how to play the game; that also counts for the points in Arcade Mode for those who barely squeeze by each time or play the game on its easiest setting in order to try and get all the endings a lot quicker (But it is going to be a while to get the achievement for viewing all Arcade Mode endings). So, in a sense, Mission Mode is exactly the same as in the old game but the trials have improved and show from some combos you may actually be able to pull off within the game. Though, you still have very nonsensical combos that may only be practical in situations where you are the last character (Such as Strider Hiryu’s mission #8 that goes from an air throw, into a slide, X-Factor, and a launch into a super-jump-canceled Teleport Kick) and some which you will probably never do (Vergil’s 10th mission which involves all 5 super bars), it is overall, still better than the previous iterations. Something that myself and my friends, as well as the rest of the online gaming community who enjoy fighters depised, was the fact that there was no “spectator mode” like in Super Street Fighter IV. Instead of being able to watch your biddies fight and see what they were talking trash to each other for, you were forced to see two cards conflict with each other and watch life bars go down which gave really no indication of the action that was going on. However, that problem has been rectified. Now, in addition to being able to sit out fights (As you could in the first game) you have the option to spectate or not to spectate by pushing the X button so that the green “Watch” lights up to the left of your character’s avatar. You are now able to watch fights, even if you choose to sit out, and if you would rather just fight and not see anyone play, you can do that as well. This is a big improvement over the Super Street Fighter IV system which has no skip button, where you have to wait about 30 seconds for the game to automatically assume the person is not playing and skip them (This system is a better version of what we normally see in the BlazBlue lobbies). Rooms can be made up to 8 people and must be creative in pairs of 2 (Such as 2, 4, 6, or 8 man lobbies). It is possible to make all slots private or to just allow some to be private for friends and watch and fight others as they come into the room. Overall, the lobby system is vastly improved and offers up a huge amount of replay value. Since I played nearly 4,000 matches of the original Marvel vs Capcom 3 in those 9 months it was out; then this should aid me in breaking that record with this game. 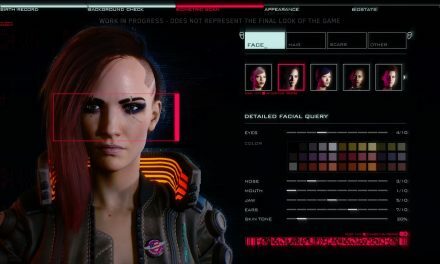 Along with this game, new characters were introduced into the mix but old characters also got “nerfs”, “buffs”, and new “technology” to help them or hinder them from their previous versions. I am going to talk a little bit about this. Coming with this game were 12 new characters, this is probably the biggest thing about this game besides the balancing of the current cast. The 12 new characters, 6 for each side. 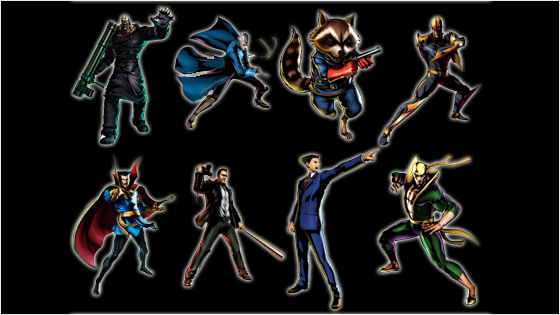 Vergil, Phoenix Wright, Nemesis (T-Type), Frank West, Strider Hiryu, and Firebrand represent the CAPCOM side; and Nova, Dr. Strange, Rocket Raccoon, Hawkeye, Ghost Rider, and Iron Fist make up the MARVEL side of the new characters. They are all each unique and different; I am not going to cover all of them but talk about somethings I like as far as their overall direction. They all seem pretty balanced (for the most part) and fit in with the old cast of characters very well, something you always have to worry about with new characters is that they have not been balanced like the old characters have, and therefore have the potential to be broken. Somethings that are already pretty broken is the fact that Phoenix Wright’s assists when he is in “Turnabout Mode” make him completely invincible from start to finish and is now fully incapable of being punished.. that is just one example. As far as the selection, it is pretty unique. Phoenix Wright is a lovable character that is pretty hilarious while fighting and can turn into one of the best characters/assists in the game with Turnabout mode, Dr. Strange is a good trap character with risky mix-ups and fun Hyper Combos, Rocket Raccoon is a spacing character that can be extremely annoying, Iron Fist is a close-ranged combat maniac, etc. So the variety is pretty good and should avoid anyone from saying they are clones; though you can see some similarities within characters. Dr. Strange floats, so did we really need another character that does that (Seeing as we already have Magneto and Storm)? Vergil is a twin of Dante who’s hair, jacket, and sword are different; he also has Devil Trigger as well as a few of the same moves (Stinger, Helmet Breaker). 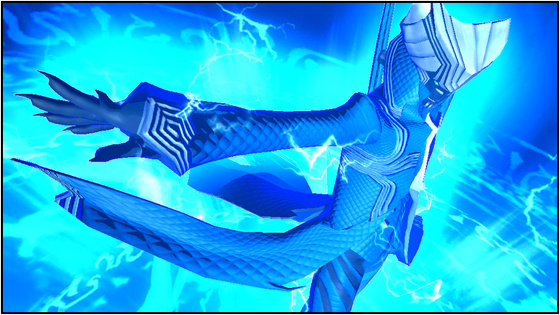 Even Firebrand has a move which clearly reminds me of Shuma-Gorath’s “Hyper Mystic Ray” move, in the sense that it OTG’s and goes from the bottom of the screen to the top. Though, something that got me was that Frank West did not play the same as his Tatsunoko vs Capcom counterpart. He gained some new moves and new combos, other hyper combos, and the loss of my favorite “Real Mega Buster” hyper. Though, I think he is fun to play and is improved overall. Even though there are similarities and comparable moves with some of them, they stand alone as their own characters and make good on the promise of CAPCOM of making no duplicate characters and making them all tournament viable. However, I want to tell you the characters I wish had gotten into this game however; despite me liking the characters already here. As you know, to balance out the old cast some balance changes were made to them. Wesker was given the ability to grow stronger and fast as his glasses were removed, Magneto, Storm, Hulk and others got new moves, Dormammu gained new properties for his moves, some of Dante’s more execution heavy techniques were simplified and made more accessible and a boatload of other things. In time, you will grow use to these things, just like how I got use to the change from BlazBlue:Continuum Shift to BlazBlue:Continuum Shift II in the 1.03 version update that they did. Some things I was not fond of, such as what they did to Dormammu’s Flame Carpet and how you only have to push a button after inputting some of Dante’s move to get the second version of it, or his Crystal assist; as these things make some combos I did in the previous version of the game more difficult or is now impossible. Well, that comes with the territory, but I guess the problem that I had with these is that what I used was not broken, at least, not that I saw. Some of the changes like Magneto’s Fatal Attraction move he was given allows him to better control opponents pacing and keep rush down opponents at bay, while Storm’s new move (Reminds me of Rachel Alucard’s Wind Drive from BlazBlue) actually does about the same thing and can help to make some moves and setups a lot easier; though, these do not feel very Marvel vs Capcom at all. The changes were not really welcomed to me, as I was loving everything about the old games and the new combos I had invented, this game seems to nerf those abilities and some of the truly unique combos I had made; but I guess now it is time to make variants on them and potential come up with new and impressive combos. I will see where being in Training Mode will lead me. Vital to the longevity of any fighting game is the actual game play. 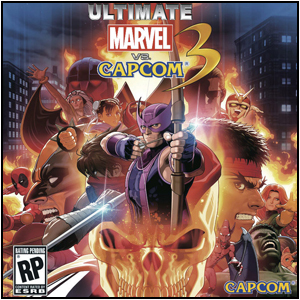 Even though I loved Marvel vs Capcom 3’s, it does not mean that Ultimate will provide the same game play and the same experiences that the previous game offered; merely because of the new changes and moves, new HUD, and various other things that will enhance or take away from the overall experience. Something that got me immediately was the HUD. This HUD helps improve as well as make difficulty many things that effect you while you are in the middle of a game. The first thing is the huge X’s that you see at the end of the life bars directly beside the time; good add. They help by letting someone know that X-Factor is still available, as sometimes I actually forgotten over the course of the match if I had X-Factor or not, same with some of my friends when they are fighting me and did not activate it. Something else about this is that when it is activated, you can clearly see below and above the whole HUD at the top just how much time is left on that X-Factor easier than in the previous game. The most painstaking thing about this game to me is recognizing which assist is #1 and which is #2. In the other game, assists where in descending order from top to bottom with the one closest to the main characters life bar being the first. In this game, you have the life bar furthest at the bottom as assist #1 and the one at the top being assist #2; which to me, feels backwards. Even though they have “A1” and “A2” standing for their respective assists, I still find it hard to really know which one is which in the midst of battle, this has resulted in multiple tag-ins for characters that were not meant to go into battle; leading to losses. I will get use to it eventually, but I hate the HUD for assists so far (Makes snapping in Phoenix/pesky assists all the harder). The controls and the flow of the game seem a lot smoother overall, I cannot really describe it, but it just seems so much smoother than the previous version. When I am playing on my MadCatz Arcade Stick, it feels like I am perfectly in-sync with the characters I am using; even though I cannot say exactly what I mean, it is worth mentioning. This time around, it seems like everyone dies a lot quicker than usual. Before, in the first game, we had problems with Sentinel taking out your whole life in two combos, or one if he was in X-Factor. A lot of times, unless you were Akuma, it took at least 3 or 4 full combos to kill someone, sometimes a little less but it felt like someone had to get reset and hit with a few combos to kill them where as it seems like everyone dies so quickly in this game. I do not know if it is hit stun deterioration or damage scaling or simply that everyone’s health is too low for the average amount of damage everyone seems to do per combo (Around 600,000 or so with a super) and it is flat out ridiculous. In Marvel vs Capcom 2, it took various resets; even with infinite, to achieve death; you can kill most people in two basic combos now or one combo with X-Factor. I was fighting my friend Rasean and manage to kill his C.Viper with one regular air combo into Lvl. 1 X-Factor with his “Dark Dimension” Lvl. 3 Hyper Combo, insanity. Basically, it feels a lot smoother this time around but I am going to have to get use to some things and watch out for the low health and high damage output that seems to be going on in this game. However, I am glad it plays a lot better. Ultimate Marvel vs Capcom 3 does well to deliver an experience that builds upon that found in Marvel vs Capcom 3: Fate of Two Worlds. A robust new amount of characters as well as new stages and a new HUD. Also, being able to watch matches, even if you are not playing or see how your friends are doing is useful for building up techniques by observing others or giving advice and seeing exactly what someone is doing wrong. Spectator mode brings so much more fun to this game you have absolutely no idea. For anyone that is a fan of fighting games or really enjoyed the first Marvel vs Capcom 3, this is definitely a great buy at a deal with more content and an improved online. Well, if you will excuse me, it is time for me to go to training mode! Happy Gaming!